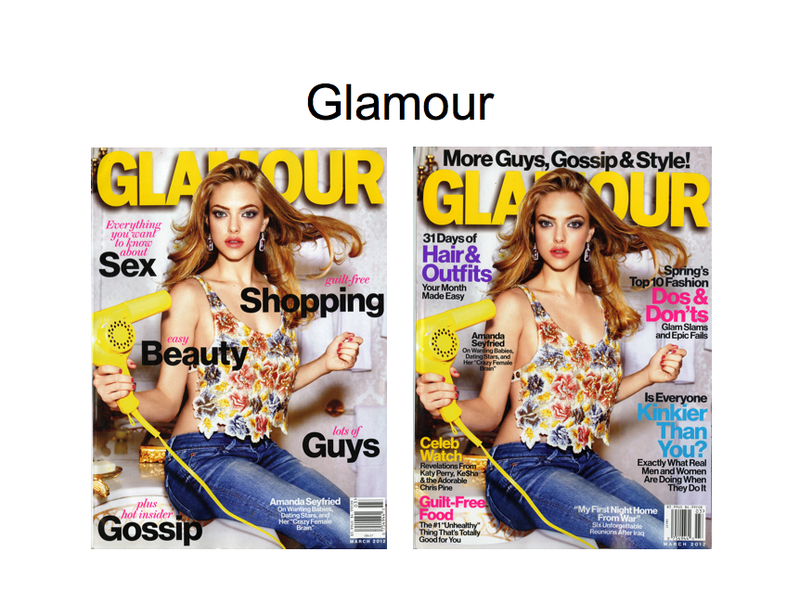 Magazine media publishing today is more complicated than ever. The options are unlimited and the choices are endless. The world of technology has added more possibilities to the world of publishing, whether ink on paper or pixels on a screen. The latest count of the number of Apps available for the general public is over one billion… yes, you’ve read that right: 1,000,000,000 Apps. And the number of magazines available for the general public is over ten thousand… yes: 10,000 magazines. 1. Focus on the Customer first: No matter how great your idea is, ideas don’t live in a vacuum. You need to find other folks, a lot of folks, who share the interest, the need, the want, the lust (you get my drift) for that idea. Identify and define that customer. Learn anything and everything you can about them. Before you even test the validity of your idea, find the customers. 2. Check your Idea: People who tell me that they have a novel idea are immediately told that there is a good reason for that: someone else has tried this idea and it never worked. Of course, there is a very slim chance, less than .01%, that you are a genius and yes, your idea will bring in millions upon millions of dollars, but remember the odds are, with all due respect, that you are not a genius. Ask yourself whether your idea is based on content or on experience. Remember the best ideas are those that create a great experience for the customers. You can’t afford to be just a content provider anymore, you have to be an experience maker. 3. Study the Competition: Once you are sure of your idea, start looking at what is out there (while remembering that there are a billion Apps and ten thousand magazines). Write down what the strengths and weaknesses of the competition are. Study and analyze the competition. As long as you know that there is nothing unique anymore, find out how can you be “Better and Different”. The B and D factor is going to be essential for your success in the future. 4. Dig in for the Money, but Don’t Quit your Day Job: No matter what your idea is, you will need lots and lots of money to execute the idea. Write a budget and quadruple it. Then and only then will you be able to be close to what the execution of your idea is going to cost. If that number is scary, rest assured, it is only the beginning. You are better off quitting here and shelving your idea if you do not have easy access to that money. Keep in mind, that no matter what you do, if you’re that individual entrepreneur who is hoping to make it big in the marketplace with this idea, do not quit your day job. Ideas come by the dozen and they are worth a dime. It is the execution of the idea that counts. That execution, with no exception, is very costly. 5. Follow your Guts (after you take steps 1 through 4): No matter what type of idea or plan you have so far, folks are going to tell YOU, “this idea will never work.” However, keep in mind that folks said that about some great ideas that were successful and conquered the world. There is not a single amount of statistics nor formulas that you can use or apply that will give you the assurance you will need to achieve success. At the end of the day, it is your gut feeling that will give you that final approval to go ahead with your idea. Not the numbers, not the formulas, and above all not the consultants (me included)… It is you and only you who will give yourself the green light to proceed. So, are you ready? I know exactly what you are thinking now. You are telling yourself this is just common sense. I know, isn’t that the title of this piece: the five “common sense” strategies for success? The biggest problem we have in the magazine media industry today is the lack of common sense. We have driven that car called common sense and parked it in a garage, five floors below, and, guess what, we left the keys in the car. Go figure?! Chris Keyes to Samir Husni: If You Are in the Magazine Business and You Are Not Excited About All the Changes Taking Place Today, YOU NEED TO EXIT THE BUSINESS. 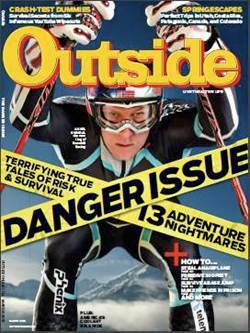 The Mr. Magazine™ Interview With the VP and Editor of Outside Magazine Christopher Keyes. If you are in the magazine business today and you are not excited about all the changes taking place, you should get out of the business. This is the simple and direct advice Chris Keyes, Outside’s magazine VP and editor, offers folks working in the magazine industry today. 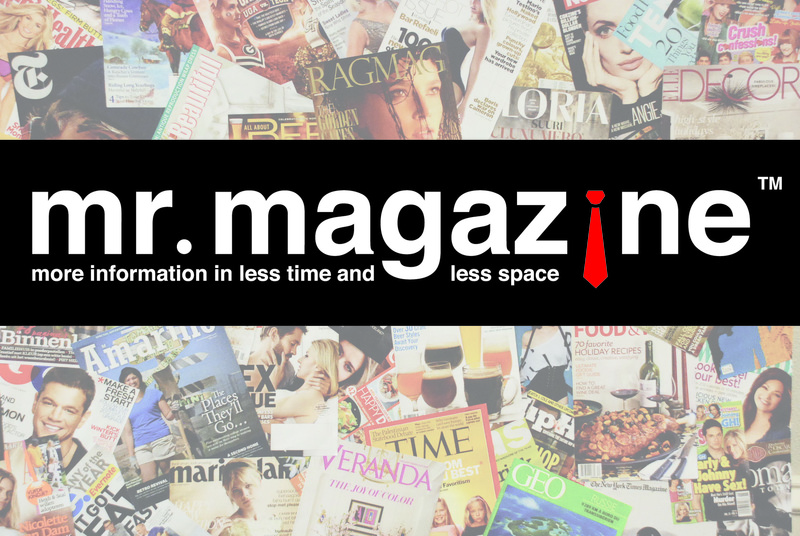 “I’m really excited about the opportunities of the future,” Keyes told me in this latest Mr. Magazine™ Interviews series of interviews with magazine industry leaders. 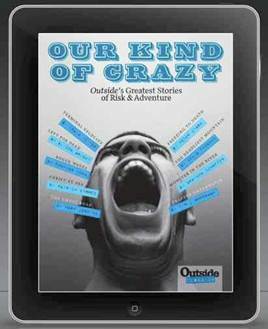 Click on the video below to watch my interview (via Skype) with Chris Keyes, VP and editor of Outside magazine, followed by the sound-bites and the very lightly edited transcript of the interview. On the changes taken place in the magazine industry: I’m very excited about it, to be honest with you. There were certainly a lot of reasons to be tentative and afraid of these changes in the last couple of years. On the differences between his experience of ink on paper versus digital: You’re just sitting there with a magazine and enjoying some great pieces and great writing; I find it hard to sit for a long period of time, the way I would with a magazine, in its digital format as an app. I think that’s largely true. But I don’t think that they necessarily want the exact same thing in terms of just a PDF format of the magazine..
On the new essay and long-form anthology app Outside recently launched: That kind of storytelling has always been really compelling to our readership and that’s why we decided to launch this first one with that idea in mind. On all the changes new media brings to the forefront and his worries about the future of journalism: I’m really excited about the opportunities of the future and the fact that if you’re in this business right now and not excited about all the changes, then you should get out of the business. On how his life has changed today from several years ago : I think 10 years ago, 15 years ago, a magazine editor had the luxury of just working on a print edition of the magazine and that was all you did. On whether or not he envisions a day without the print edition of Outside: Not in the world that I want to live in, no. I really believe that there is a place for the magazine far into the future. On what’s first in the life of Outside: Audience, audience first. On his plans for the future: I want to see Outside grow and grow into all these platforms that are now available to us, to see the magazine continue to thrive, but also to see us thrive on these other platforms. On what keeps him up at night: I think my biggest challenge, the thing that concerns me is the fact that we have a small staff and all brands in the media business now are expected to be everywhere at once. And now for the lightly edited transcript of Mr. Magazine ™ Interviews Chris Keyes, VP and editor, Outside Magazine. Samir Husni: Outside has been a cornerstone in the National Magazine Awards, it is nominated time after time. It’s a great read, a great experience. Now you’re creating those great reads in an iPad edition. How do you feel about this transition between digital/ink on paper; do you think you’re going to be able to recreate the same experience, a different experience; where are you headed? Chris Keyes: I’m very excited about it, to be honest with you. There were certainly a lot of reasons to be tentative and afraid of these changes in the last couple of years. But one of the things that I’m most proud of, and I think all of us at Outside are most proud of is that we truly are a multi-platform brand and the fact that we’ve been able to do that as such a small, independent company is kind of a testament to the power of what the magazine is about. And I think the greatest evidence of the value of the long-form journalism we’ve always produced is how you’re seeing that translate online now. I think, obviously, when the internet came around there was the thinking that magazines couldn’t compete with that short, sound-bite type of journalism and that long-form was going to go away. As we’re seeing now, the biggest traffic spikes that we get on our website are from our best, most curated long-form pieces. So we’re really excited about that because it has value in the print edition, it has value online, and now it has value in the app edition where I think that is a great reading experience as well. 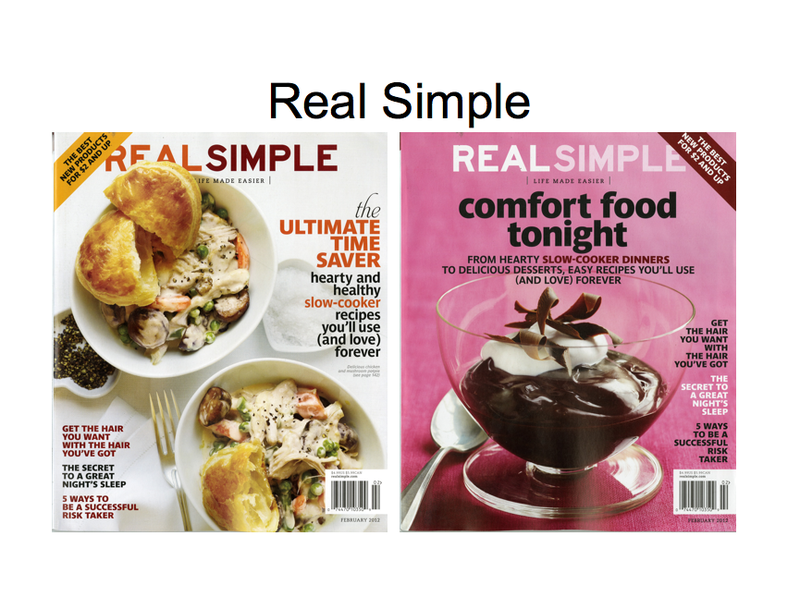 Personally, I still prefer…I love our app, but I still prefer having a magazine in my hand. But I know that there are consumers out there that don’t and we want to reach them and now we can. Samir Husni: How is your experience with the ink on paper different than the experience with the iPad, or the tablets, or the web? Chris Keyes: Well, personally, I find that when I’m in a digital space, whether it’s online or whether it’s on our iPad app or somebody else’s iPad app; when I’m in a digital space I’m used to that freedom of being able to go anywhere, I’m jumping all over the place, from one website to another; whereas the magazine reading experience is much more self-contained and kind of refreshing in a way because you’re not inundated with a million options and a million opportunities to go somewhere else. You’re just sitting there with a magazine and enjoying some great pieces and great writing; so I find it hard to sit for a long period of time… the way I would with a magazine, in its digital format as an app, because I’m not used to that sort of being locked into one format. Samir Husni: I don’t know if you saw some research that came out last week that a lot of people who read on digital platforms, want to see a replica, they’re not really interested in all these bells and whistles; and for some time we used to say we need to create something different, we need to do it and people are telling me, or telling the panel that we want the same thing. Chris Keyes: I think that’s largely true. But I don’t think that they necessarily want the exact same thing in terms of just a pdf format of the magazine; I think you want to enhance it for the device that they’re reading it on, no question about that. But I largely agree and I think that’s probably a relief to a lot of magazines, because as we know, with the staffs that we have, to be able to also produce a ton of video content, sound, audio, and all these enhancements, that’s a huge burden on a magazine staff and we want to add a few layers of that to our iPad app to enhance it, but I think initially when you saw some of the first iPad apps come out for magazines they were sort of overloaded with every single story you could play. You could watch video, you could turn the picture around 360 degrees, and readers, I think, largely do want that magazine experience with a few bells and whistles. Samir Husni: Recently, you launched a new app with a lot of essays. What was the reason behind creating this app for Outside? Chris Keyes: Well, what’s actually great about it is that it’s not an entirely new app, it’s a magazine sort of within the app; so once people download the Outside Plus app that gives them access to the Outside magazine and our buyer’s guides, they can also access anything we publish through that app. This is our first test into doing an anthology with some of our best writing of the past 35 years, and the genesis of it was a survey that we did with our readership last summer where we came up with 12 ideas for sample anthologies and we tested them with our readership, and by far, there were a few that were really popular, but by far the most popular was this idea of “Our Kind of Crazy” which are stories of our most extreme athletes and people who are taking their sports to levels that we haven’t seen before. And that kind of storytelling has always been really compelling to our readership and that’s why we decided to launch this first one with that idea in mind. Samir Husni: Is Chris worried about the future of journalism? Chris Keyes: No, I’m not at all; I’m really excited about it. I think the last couple of years for everybody and not strictly in the magazine business, but in just about any business, it was a really rough time, it was a lean time, but yet I go back to the fact that we’re a small, independent company, and there are not supposed to be small, independent companies in the magazine world anymore, but we’re thriving, we legitimately have all these platforms. We’ve got Outside television coming online, we just inked a deal with Comcast and we’ll be delivered there; so we really have an opportunity to reach a whole new set of readers and consumers and so I’m really excited about the opportunities of the future and the fact that if you’re in this business right now and not excited about all the changes, then you should get out of the business. Samir Husni: So, my question to you then is, how is the 24 hours in the life of Chris has changed today from what it used to be like five-years-ago? Chris Keyes: That’s changed quite a bit. Besides the fact that I’m up at five with a one-year-old, that’s one of the big changes. I think 10 years ago, 15 years ago, a magazine editor had the luxury of just working on a print edition of the magazine and that was all you did. I find it exciting to have my hands in all the different areas and so my day now, as opposed to just thinking about what is going to be in the print edition, is really thinking about the content of the website on a daily basis, and there’s a lot of stories in the past we would pass on because they involved some kind of breaking news and as a monthly you can’t reach people with breaking news, not in any way that was going to be still relevant in a month and a half from now. Now we can attack those stories online and we have done so successfully and that’s really exciting to me, and I think to all of our staff, knowing that there are kind of two mediums where we can reach an audience. And then the fact that I’m also involved in the development of the app and various brand extensions, there is certainly a lot more on my plate than there was five years ago, but it’s all exciting to me and like anybody in this business we thrive on some kind of a challenge; the more that there are these challenges and opportunities there, the more exciting the job gets. Samir Husni: Do you envision a day when we don’t have the print edition of Outside? Chris Keyes: Not in the world that I want to live in, no. I really believe that there is a place for the magazine far into the future. It’s just a different experience as I was describing before, and that’s not to say that all of these other devices and avenues to reach readers aren’t going to grow and maybe become even larger than print someday. But I do believe that there will always be a place for the print edition. Samir Husni: Tell me about Outside TV. You say you’re launching a new television network? Chris Keyes: The Outside television actually launched about a year and a half ago, it was a re-brand of a television network called “The Resort Sports Network” and again I think they approached Outside knowing that they wanted to re-brand and re-launch their network and so they came to Outside first and said that this would be a perfect marriage. Outside has this powerful brand. When you say Outside television you can kind of instantly envision what the network would look like. They came to us with this idea of partnering; that launched about a year and a half ago. Once that launch, the second phase of the partnership was to go out and get a distribution deal with one of the big, cable networks and they targeted Comcast first and that was inked last fall and distribution on that will be happening over the course of this year in various markets. And we’re really excited about that because it allows us to sell the magazine, to sell online, and to sell television all at the same time. Samir Husni: If you want to summarize everything about Outside; is it a print company, audience company, customer company, digital company. What’s first in the life of Outside? Chris Keyes: Audience, audience first. Even two-years-ago, you’d have to say it was a print company, but now that’s just not true anymore with the growth of our website, the growth of our app, with the growth of television, and the continuing strength of the magazine in general. All of those platforms are designed to reach an audience and I think again that’s what separates us. I think the magazines that died in the recession, a lot of them were built for an ad community, not an audience. And Outside has always been about its audience. We interpret the word Outside very broadly, but its also very definable and people can envision exactly what you’re talking about when you say Outside and what Outside is about. So that gives us a distinction in the marketplace that I think readers and a general audience want. Samir Husni: What are Chris’s plans for the future? Chris Keyes: I’d like to stay here as long as I can, this is my dream job and I arrived here a little earlier than I thought I would. I want to see Outside grow and grow into all these platforms that are now available to us, to see the magazine continue to thrive, but also to see us thrive on these other platforms. That’s what I want to stick around here for. I told Larry Burke when he hired me, I have never worked in New York; I don’t really have an interest to be in New York. I want to be here. I’m a true believer. So you won’t have to worry about me jumping ship. Samir Husni: My traditional closing question in all these interviews, and now since I know that you have a one-year-old, besides the baby; what keeps Chris up at night? Chris Keyes: Very few things, I sleep pretty well. But I think my biggest challenge, the thing that concerns me is the fact that we have a small staff and all brands in the media business now are expected to be everywhere at once, so we have to do well in print, but we have to also do well online, we also have to have a very active and vibrant presence in social media: Twitter and Facebook, and now there’s the app, the development of the app, and television and having some of my editors beyond the Outside television shows. And so how do we amplify the skills and abilities of the small staff to be able to be in all those places at once without one of those platforms suffering. I think that would be the biggest struggle right now and what would keep me up at night, but I think so far we’re doing well at it. 1. 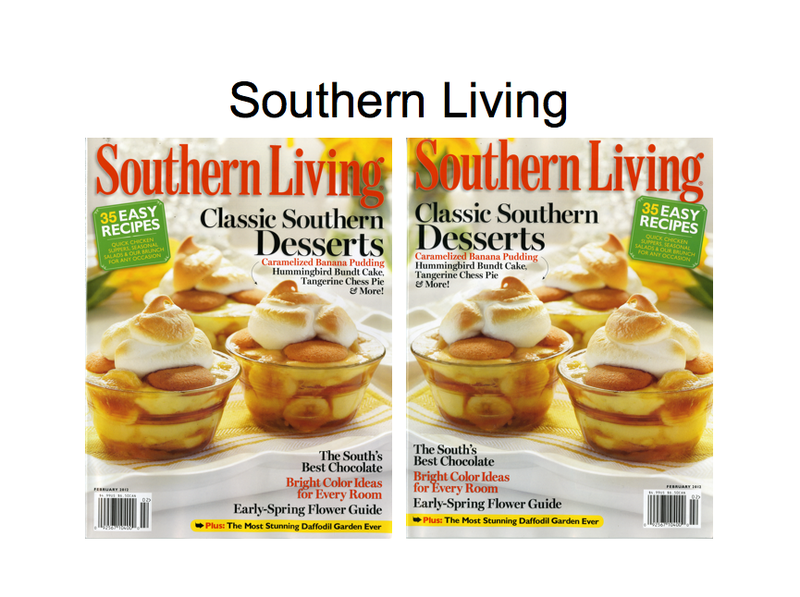 High cover prices: The average cover price for a new magazine is almost $8.00. More new magazines are arriving at the newsstands with extreme specialization and very few pages. 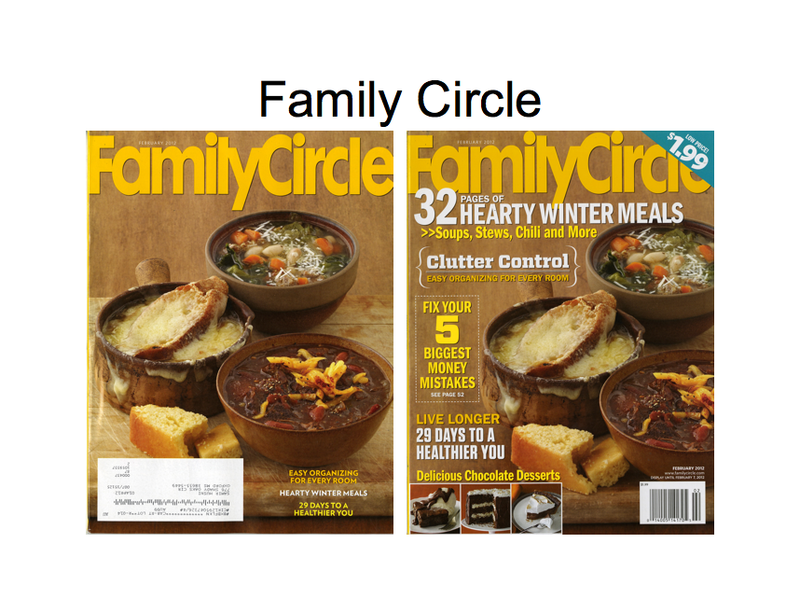 Take a look at the magazines on the right of this copy. This is just a few of the magazines that I purchased from the two newsstands on Saturday. I spent $125.79 at Books.A.Million and $173.88 at Barnes & Noble for a total of 33 magazines (keep in mind that my prices are discounted 10% since I have the membership saving cards at both places). The average cover price for the magazines I bought was $9.08. Some of the prices were as high as $14.00 and $17.00. It does not take a genius to figure out that shoppers on the newsstands are not going to buy five or six magazines at $8.00 an issue. 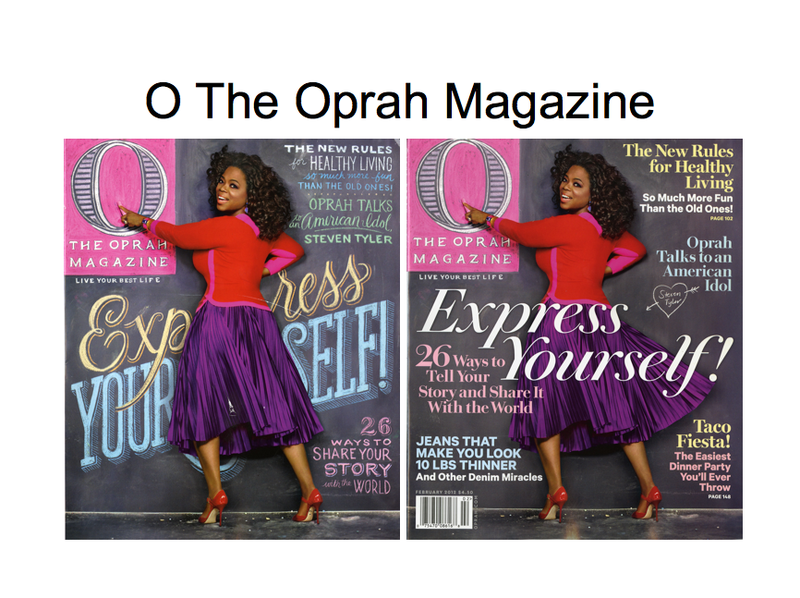 At those prices, folks who used to buy two or three magazines for that price are now buying one magazine instead. 2. Too many options: Some years back choices were limited. 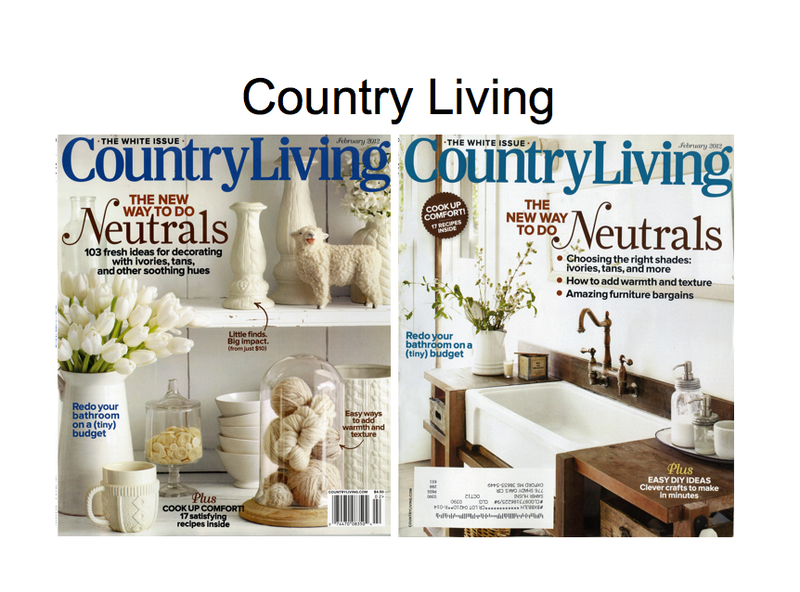 If you were looking for a stamping or scrapbooking magazine, you were able to select between two or three titles. However now the options can be as high as 50 titles in each category. From gardening to quilting to tattooing more titles are bombarding the newsstands and making it harder and harder for folks to make a choice. They spend too much sampling those title and by the time they are done, they got their full. Combine that with the higher cover prices, and you can kiss the sales goodbye. Visiting a newsstand and observing what goes on the shelves will actually help those pundits who theorize from their ivory towers about the magazine marketplace. Sometimes I wonder if they have ever visited a newsstand and paid the full price for a single magazine! 3. Very very low subscription prices: Add to that the ridiculous subscription prices where magazine publishers are still going out of their way to serve the dying advertising business model for the magazine business. Feeding the beast called “advertising centric business model” is pushing some publishers to offer their subscriptions at extremely low prices (some yearly subscriptions are almost the price of one single issue on the newsstands). Take a look to the right at the latest subscription offer that I received yesterday. 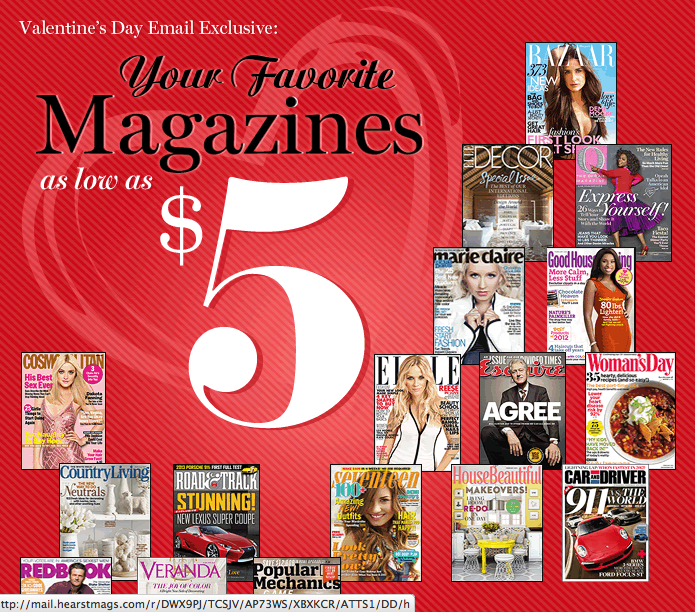 Or better yet, just visit any newsstand and take a look at all the sub-offers’ cards inside the pages of the magazines with subscription prices discounted up to 93% of the cover price. How long can we continue to take the single copy buyers for granted and how long can we continue to signal to them that they are stupid because they are paying a lot more for the same magazine on the newsstands. Seeing Doubles: When a “New Trend” is NOT a “New Trend”? Few days back I read an article in a major newspaper touting the fact that Harper’s Bazaar is using a split cover in its March issue. 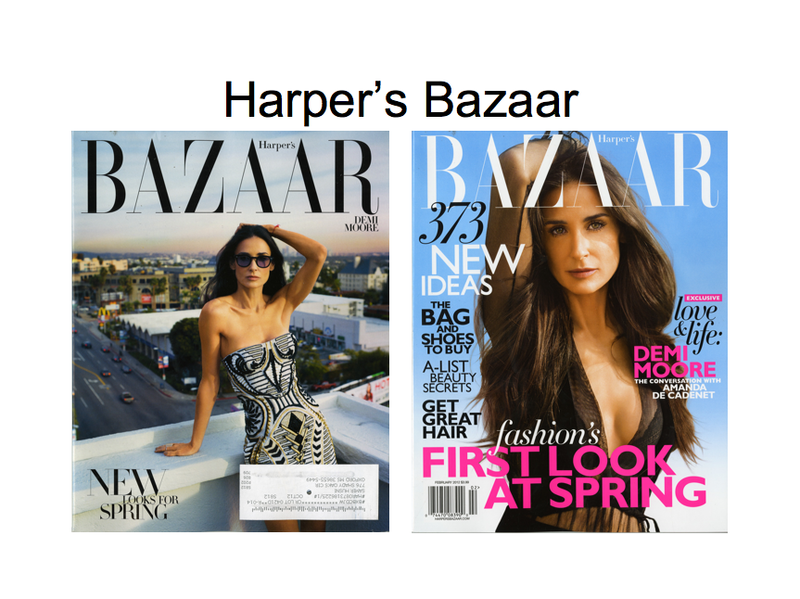 Little the reporter knew that Harper’s Bazaar has been doing split covers for few years now. 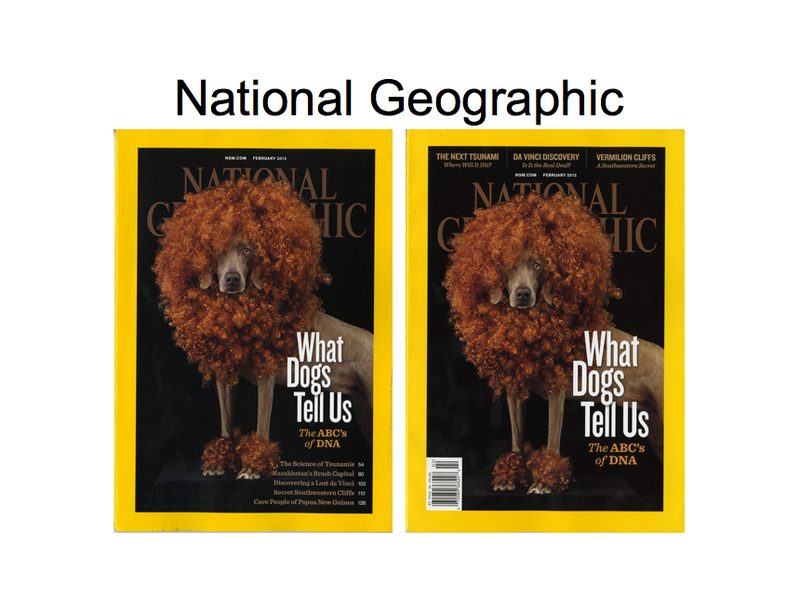 In fact, it is not the only magazine taking advantage of the “cheap” technology and splitting its covers between different areas of the country or between single copy and subscribers’ editions. 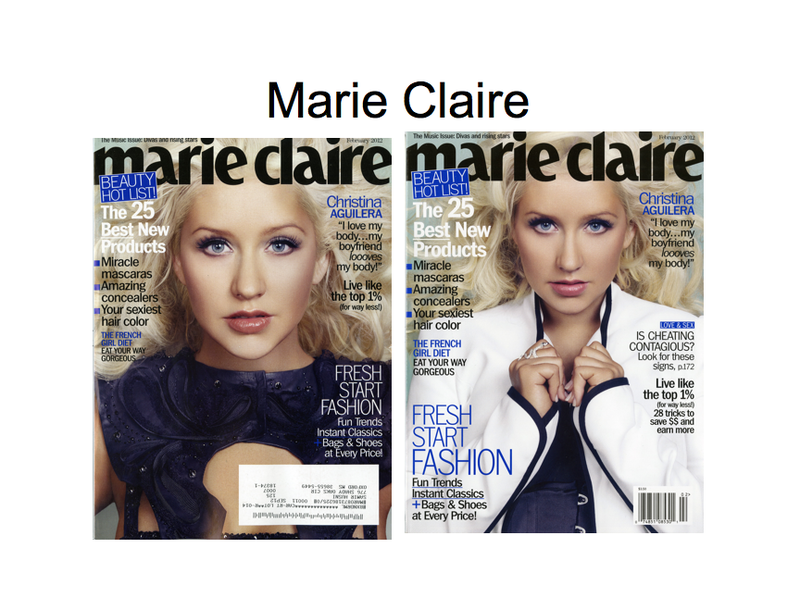 The covers below show few magazines with double covers during the Feb./March issues of 2012. 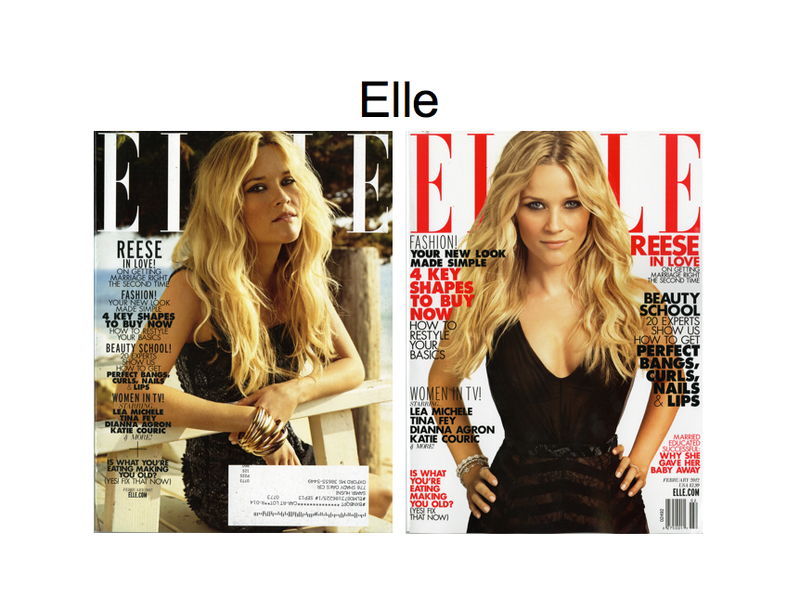 So, before you name a trend new, check the facts, or in this case, check the covers. Enjoy! Do you still think it is a new trend? Think again. 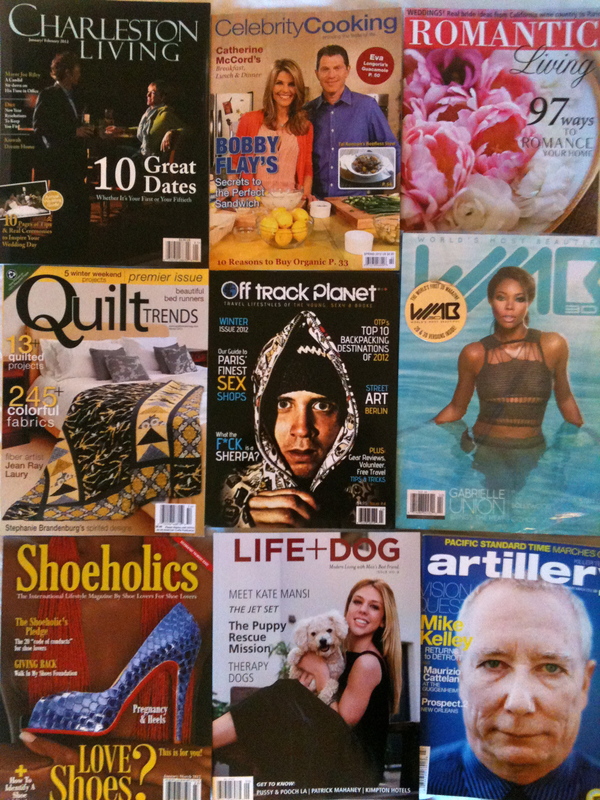 The Mr. Magazine™ Launch Monitor recorded 55 new publications launched for the first time in Jan. 2012. For a complete list, images and details check the Mr. Magazine™ Launch Monitor here. Reinventing An Icon: The Saturday Evening Post’s Editorial Director Steve Slon to Samir Husni: I’m Trying to Create a Contemporary Magazine That’s Relevant, Beautiful, and Interesting. The Mr. Magazine™ Interviews. Imagine you are in charge of reinventing one of America’s icon magazines: The Saturday Evening Post. How would you react? What will be your first step? What are some of the obstacles facing you doing that? And do you think you can really reinvent such an icon? The aforementioned questions raced in my mind as I read the news that Steve Slon has been appointed editorial director of the iconic magazine The Saturday Evening Post and has been charged with the mission to reinvent the legend magazine. After all, mention the name The Saturday Evening Post to anyone and they will directly think you are talking about the past. 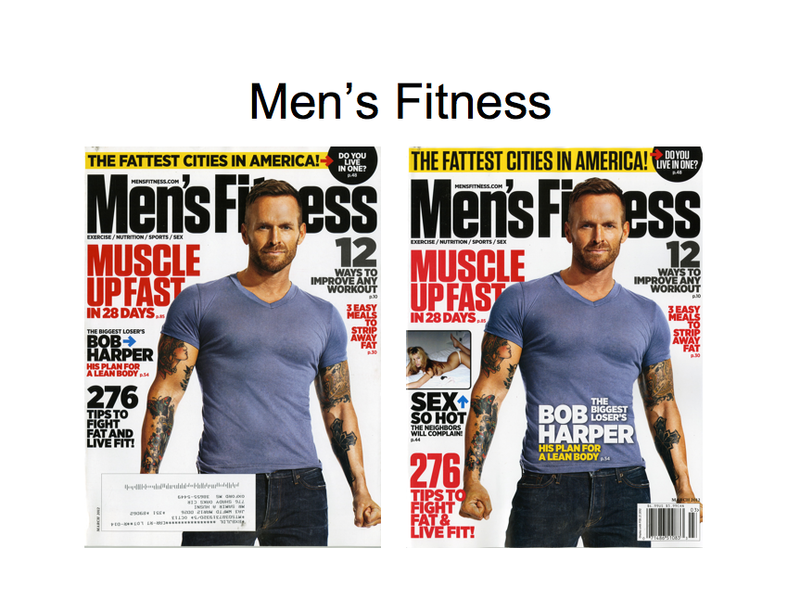 So, how does Steve Slon plan to change this “past” stereotype to a present day 21st Century magazine? Well, in the typical Mr. Magazine™ Interviews, here are first the sound-bites followed by the very lightly edited transcript of the interview. On his plan of action: To take some of the historical magic of the magazine and look for a contemporary application. On the obstacles to reinvent the magazine: the first obstacle is that everybody thinks the magazine went out of business fifty years ago. On the future plans to get the word out: To accomplish getting the magazine out, we’re developing some social media strategies… I’m not trying to recreate something that existed in our fantasies more than in reality…. I’m trying to create a contemporary magazine that’s relevant, beautiful, and interesting. On the humanization of the magazine: It is a really well-rounded person with a liberal arts education who is curious about the world, who had personal concerns such as pocketbook concerns, maybe weighing a few pounds more than they wanted to and was just looking for good ideas about weight loss and money and that sort of thing. On the name of the magazine: Magazine titles start out having a meaning and then the meaning sort of evaporates from it and it just becomes what it is. On the future of print in a digital age: The experience of wrapping yourself in a magazine, opening it up and seeing it on nice paper, and seeing the beautiful images; the great magazines, like The New Yorker, Vanity Fair, just digging in and enjoying it and having a great read with the magazine in your lap, cannot really be equaled electronically. On the audience of the magazine: It’s never going to be a magazine for twenty-year-olds in its current form. On what keeps him up at night: Typos. I worry about interviews with people like you. I want to say the right thing. And now for the lightly edited transcript of Mr. Magazine™ Interviews Steve Slon, editorial director, The Saturday Evening Post. Samir Husni: The first obvious question: This is a big, big, big job to reinvent an icon in the magazine industry, The Saturday Evening Post. How do you propose to do that? Steve Slon: Well, I’m glad that you used the word reinvent because I think that’s a key word. The way that I propose to do it is really to take some of the historical magic of the magazine and look for a contemporary application. So in other words, I want to make it clear from the outset that this is not in any sense of the word a nostalgia magazine. But at the same time we are a little bit always going to be trading on the wonderful legacy of the publication. So basically what I do is I deconstruct what the Post was in its hey-day that was a mix of an appreciation of art, of fiction, great writing, great journalism and I’m distilling that and bringing that into a modern context. Samir Husni: What are some of the perceived obstacles that you see in front of you, preventing you from succeeding? Steve Slon: Well, the first obstacle is that everybody thinks the magazine went out of business fifty years ago. No, seriously, the first mission is to get some word out that we are still publishing. My super secret strategy, and I’m going to put it on the line, is to build the magazine and make it a good read and fun to read and enjoyable. And then, strategically, we need to just get people to hear about it any possible way we can. And then get them to come and check it out. Then say, “Hey, this isn’t some old-fashioned thing, this is a contemporary magazine that’s really interesting. Because to my mind, what makes a magazine relevant is very plain and simple: Is it enjoyable to read? You know, it’s a very simple solution. So to accomplish getting the magazine out, we’re developing some social media strategies. We’re already… I’m not sure if the word would be syndicating, but we’re giving permission to the Hearst Wire Service to republish, every week or two, a story from the Post with a Post credit line at the end. Just to get the word out. We’re saying here’s the story, have people read it in the various newspapers that subscribe to the Hearst/New York Times Wire Service and put the magazine out there. And then people read it. My hope is…well, I don’t want to say hope actually, and my intent is for people to say, “Hey, that’s really interesting That’s the Post? Wait, the Post is still going? Wait, I better get that. I gotta’ check it out.” Then they come to the website and subscribe. Samir Husni: I’m sure you wouldn’t have accepted the job if you weren’t up to the challenge. Steve Slon: Yes, well I like a good challenge, yes. Samir Husni: But the critics will say that Life tried to come back and could not, Look tried to come back and could not, Collier’s, somebody bought the trade mark but still did not know what to do with it. 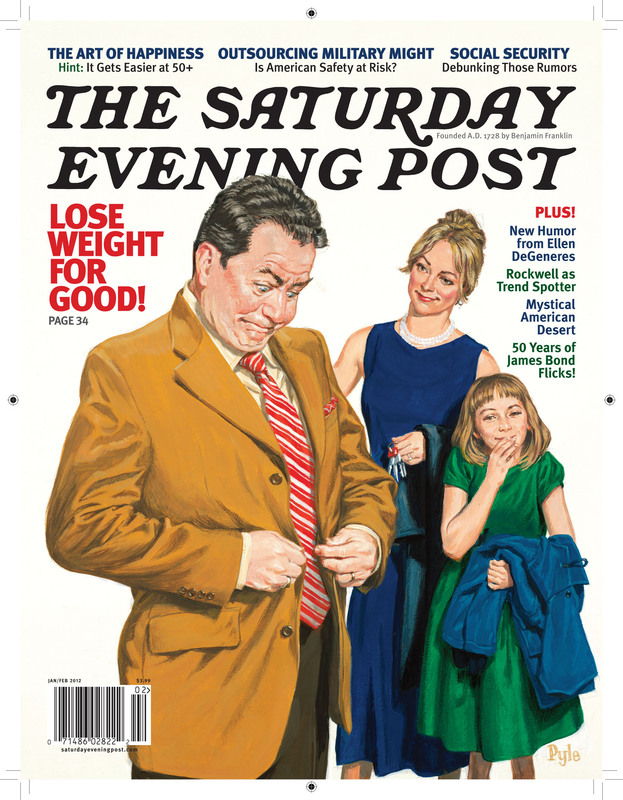 What’s different about the Saturday Evening Post? Steve Slon: Well again, I’m not trying to recreate something that existed in our fantasies more than in reality, the magic of the magazine. I’m trying to create a contemporary magazine that’s relevant, beautiful, and interesting. The same thing that is a negative is also a positive, which is if you tried to launch a new magazine in the current environment you would have everything else going against you that we’re dealing with today, the splintering of media and the news. And you’d also have to create a brand; well we have a brand, for better or worse. We have a brand that people know instantly that it is a magazine and what it stands for, which is good quality, solid journalism, great fiction, great art, etc. So, it is a challenge. But look, when I went to AARP, it was called Modern Maturity; it was dead as a door nail. The MRI numbers on that were plummeting and we said, look, what can we do to make this better. We basically turned it around with quality stories, good articles, good pictures, etc. It can be done. We have every confidence that it can be done. To me, it’s really no fun going to a magazine where you’ve already hit your formula and you’re just doing it over and over. I love the excitement of saying, “Wait, let’s try this, let’s tweak it a little bit and let’s see what connects.” One of the things that I wanted to tell you about is that I’m finding is that the essay, the opinion piece; it’s hitting like a pinging for us really well. We certainly have our little collection of service stuff; we cover tech, we cover money, we cover health, etc. But when we did a piece by Diane Ravitch this fall on what’s wrong with American school systems and we got a flood of letters, the kind of letters you never get from an article about 5 ways to get rock-hard abs or 5 ways to lose weight or that kind of thing. So that was very exciting and that has inspired me to push a little further with the opinion side of the magazine. Samir Husni: If I give you a magic wand and you can strike the ink on paper The Saturday Evening Post and a human being comes out of it, who would that person be? Steve Slon: I like that because I like that image. I do think of the magazine as having a personality analogous to a human personality and so what I see is, well, let me back into this a little bit. I see the magazine as a balance between really useful, practical information and really stimulating ideas, with an overlay of art and design and, fiction of course, being a part of art. So I would consider it a really well-rounded person with a liberal arts education who is curious about the world, who had personal concerns such as pocketbook concerns, maybe weighing a few pounds more than they wanted to and was just looking for good ideas about weight loss and money and that sort of thing. But at the same time was equally, perhaps more interested, in the bigger questions in life, such as education, such as…you know we just did a big story on outsourcing military equipment to foreign countries and the implications for the defense of America. So I would say it’s a person with mostly catholic interests. I don’t want to characterize it and say it’s a single person, I’m not going to name a name, but I think it’s that kind of person, with a wide-ranging interest. And the thing is, this has the potential to be huge, because we’re all really people like this. The key is to find that mix of subjects that really click and we’re approaching it. Samir Husni: Does the name keep you up at night? Would people, no matter how great the writing, how great the stories, pick up a magazine today called The Saturday Evening Post? Steve Slon: I think that magazine titles, it’s really interesting, these magazine titles start out having a meaning and then the meaning sort of evaporates from it and it just becomes what it is. So for example, Gentlemen’s Quarterly is actually a monthly magazine, not a quarterly, nobody calls anybody a gentleman anymore; it’s an archaic word. Esquire is a similar word, Esquire is an old-fashioned word, nobody uses it. And yet, as a magazine, we just know what it is. GQ changed it, of course, to just the letters GQ. AARP, the organization that I used to work for, changed its name; it used to be the American Association of Retired Persons, it changed it to just AARP for a reason, because they didn’t want to be associated with only retired people because they had broader issues. But the thing is, it just became those initials. So I think that The Saturday Evening Post, you know arguably, yes, maybe it’s a little long, but I certainly don’t worry about it. Because it ceases to mean that it’s published weekly or anything to do with Saturday. 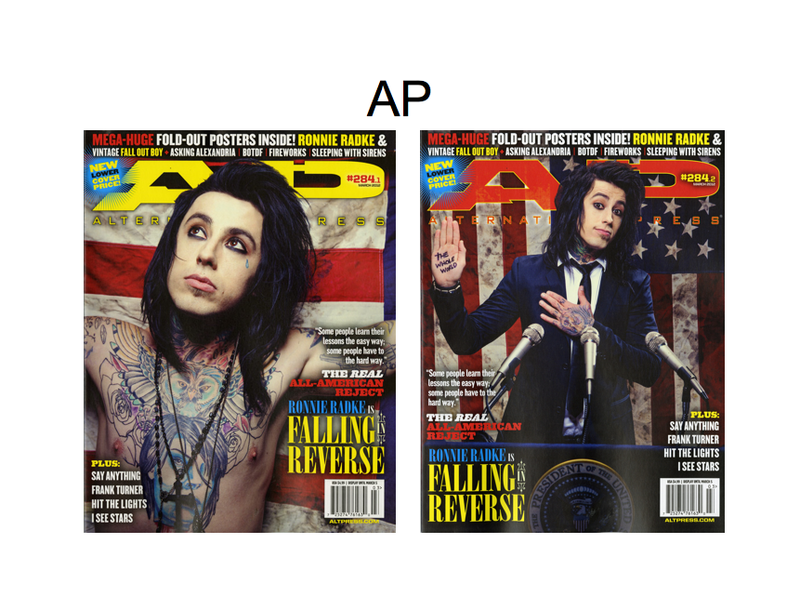 It’s just a phrase that we know and we know it’s a magazine. So, no, it doesn’t bother me, short answer. Samir Husni: Who’s the audience that you’re after now? Are you trying to maintain an audience that remembers that name, an older audience? Or are you going to try and move the magazine a little bit toward a younger audience? Steve Slon: Well I think we all know that targeting older readers is difficult in the magazine business because advertisers aren’t curiously…I mean, again going back to my experience at AARP, our sales department did all kinds of studies showing that boomers, from 45 and up, spent more money on cars, more money on gadgets, electronics than anybody else, they have money, whereas people in their thirties and forties don’t have any discretionary money. But, nonetheless, Madison Avenue has a bias against older readers. That said, our average age of our readers is 55, we would like to bring that down a little bit to being the trailing edge of the boomer demo, so bring it down, our target might be say, 45. 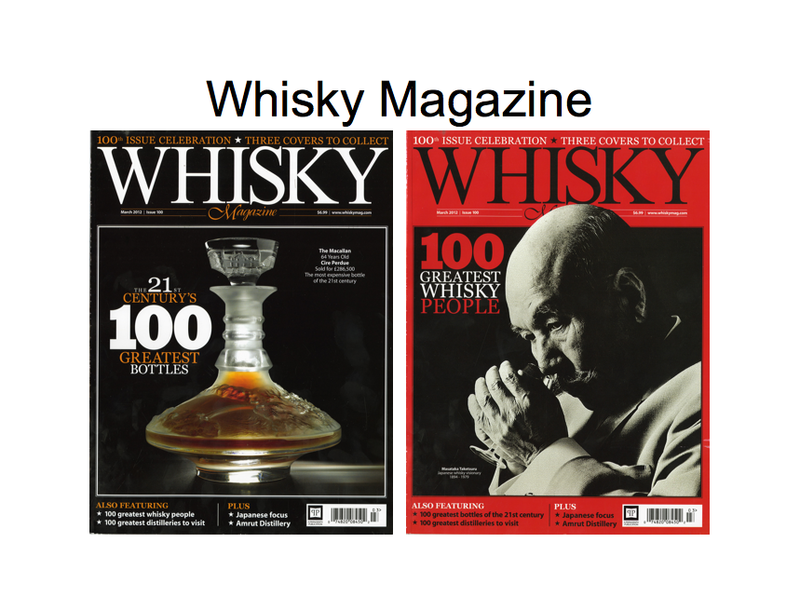 It’s never going to be a magazine for twenty-year-olds in its current form. Although we’re considering some electronic versions that might, specifically target a younger audience. But yes, for the foreseeable future, that will be a tough market even at 45+, for sales. Everybody has the same problem. If you look at our competitors, say a Smithsonian, an AARP magazine, or Prevention, or magazines that serve the 40+ demo, More magazine, it’s a tough market. A lot of your income has to come from serve. We’re looking for creative ways to get around it, of course. But it is hard. But we’re doing it. Samir Husni: You mentioned that there is the possibility of a digital edition or something for the younger reader, how do you see the future of print, ink on paper, in this digital age, in general, and then specifically. Steve Slon: In general, for the foreseeable future, they’re a generation who are reared on print, on paper, and there is something about the experience, I hope I don’t sound too old-fashioned here, but the experience of wrapping yourself in a magazine, opening it up and seeing it on nice paper, and seeing the beautiful images; the great magazines, like The New Yorker, Vanity Fair, just digging in and enjoying it and having a great read with the magazine in your lap, cannot really be equaled electronically. That said, another 10 or 15 years magazines are going to be viable on paper, and probably indefinitely for a smaller audience. But certainly it’s true a younger generation is coming up where they’re reading things first online, and second, maybe in print. It’s an evolution that has to happen. And we are, like everybody else, in the process of strategizing how to transform ourselves from an ink on paper magazine to a media company. And what’s needed at the Post actually… we have these incredible archives going back to the early 1800s that we have in an actual library, physical editions of the magazines under a curation that we are digitizing. So for example, we could create e-books, compiling some of the writers who wrote for the publication in its heyday, some of that stuff which is always going to be relevant. I made a list of some of them, in our archives we have: Ray Bradbury, Agatha Christie, William Faulkner, F. Scott Fitzgerald, Sinclair Lewis, I could go on. Kurt Vonnegut wrote for the magazine. These are stories that we own the rights to that we could create SIP’s or digital reader editions. What we’re struggling to figure out now is how to humanize that, can we give some of it away and then create custom collections for people. You can see it the way it actually appeared in the magazine with the original illustrations and so on. So, it’s pretty exciting stuff. We really have something that other magazines don’t. Samir Husni: It’s exciting to you; it’s exciting to me. How can you spread this virus of excitement to the general community and to the public at large? What’s your marketing plans? What’s your promotion plans? Steve Slon: The social media is probably the number one way. I’m not saying it isn’t anything you haven’t heard before, but I was at the IMAC conference. A lot of people were talking about how people were trying to reverse engineer Google’s search engine, while no one had the precise answer, all the arrows point to the number one trigger SEO ranking is Facebook. We’re lagging in that front I will say, but we’re working on it. You develop a community of people who like and share and want to hear about what’s new and learn about a free story from William Saroyan or something like that. I just want to go back to your earlier point, we might get excited, but what’s to excite the general public. The thing is we’re going to excite them with what we’re doing now, not what we did an hundred years ago, that’ll be just like a bonus. It has to be good now. And the magazine in its heyday was not a nostalgia magazine and we almost think of it that way because you know, Norman Rockwell. But it was a contemporary magazine. We talked about, in the last issue, about Rockwell discovering this very hot trend in the nineteen-teens with couples playing with Ouija Boards. And that was like all the rage and he did a cover of that. And that was a hot cover. Samir Husni: A year from now, I am calling you for an interview and I am asking you: Steve, tell me where The Saturday Evening Post is today. What will you answer be? Steve Slon: Well I have a modest, very reachable goal. We’re at 350,000 circ now; I want to get it to 500. We’re actually working with, I can’t name the name, a major internet publisher to do a co-op product, to do an online newsstand version and that would be Q1 and that’s another way we’re going to get the magazine out there. So I guess at a minimum we want to get up to 500,000 and more advertising. The other thing is I want the magazine to have a currency in social discourse, so an analogy is again, when I went to AARP, in the beginning I said to our staff, can you imagine someday that people will be saying to each other, ”Hey did you read something that was in the latest edition of this magazine.” It was something that we almost couldn’t conceive of because it was thought of as a magazine that was so limited in scope even though it was massive. And it was only about five yeas ago that we were mentioned on Saturday Night Live that AARP Magazine gets mentioned. So maybe a mention on Saturday Night Live would be our measure of success. Samir Husni: One final question: What keeps Steve up at night? Steve Slon: Typos. I worry about interviews with people like you and I want to say the right thing. Let me think about that for one sec. Some of the things that aggravate me are the Byzantine distribution system in single copy sales, so that because The Saturday Evening Post went through a sort of fallow period and fell off the map and basically gets hardly any newsstand distribution, which is very important just for people to see, you know walk into an airport or a supermarket, just to see it, and have the exposure, that people would know it’s there. We don’t have good newsstand distribution. That’s one thing. You are currently browsing the Mr. Magazine blog archives for February, 2012.